It’s safe to say that influencer marketing is the future of marketing. But there is still a huge problem. 75% of marketers are facing a challenge with finding the right influencers. This isn’t surprising because searching for influencers manually takes a lot of time and effort. The good news, however, is that there are a lot of influencer network platforms such as HelloSociety and Activate that that can easily connect you with influencers in your niche industry. But you could end up spending quite a lot on these platforms. Then there are influencer marketplaces that allow you to connect with influencers for a small fee or commission. Tribe, Brand Snob, and HYPR are just some the popular options. In addition to this, there are several fantastic influencer marketing tools to help you identify and collaborate with the right influencer. Grin.co is one such subscription-based software that helps you run and manage influencer marketing campaigns without having to run from pillar to post. But finding the right influencers isn’t everything. Despite finding the right influencer, a large number of brands and marketers continue to fail at influencer marketing. That’s because they often ignore the most important aspect of an influencer marketing campaign – the influencers. But if you’re serious about increasing brand awareness, driving traffic, and generating sales through your influencer marketing campaigns, you’ll need to be very systematic with the way you manage your influencers. You need to engage influencers and build relationships that last, while still maintaining a professional connection. Otherwise, your campaign will fail to meet your business goals and objectives, despite your meticulous planning. Establishing clear goals and objectives is critical for success in any marketing campaign. This holds true for influencer marketing as well. Unfortunately, around 41% of marketers fail to align their KPIs (key performance indicators) and objectives with influencer marketing. This is likely because a large majority of marketers do not share their campaign goals and expectations with their influencers. As a result, they end up wasting their marketing dollars. So what should you do? You need to document your marketing goals and KPIs and share them with your influencers. This document should be a roadmap for the influencers you’re partnering with. It should include what you want the partnership to look like, and what the overall goals are. Carefully crafting this important document will help you take into account the larger picture and will save you from getting caught into the day-to-day complexities of working with influencers. Your influencers will know exactly what you expect out of the partnership and will deliver it to you. Sometimes — for one reason or another — you may end up complicating your influencer marketing campaign. As a result, you’ll lose out on traffic, sales, and ROI. The big question is: How do you ensure a smooth and rewarding influencer marketing? If you’re looking for a smooth and rewarding influencer marketing campaign, you’ll need to be systematic with your approach and define a proper process and workflow for your campaign. Start by creating a non-complex workflow document highlighting all the necessary steps, right from the very start to the end. Involve all vital stakeholders in your workflow document. Don’t forget to create influencer outreach email templates. Once you’re done, work on response email templates so that you’re always ready to respond to your influencers on time. Ensure you send out short and crisp emails, but don’t forget to describe the influencer’s involvement. Mention your expectations, and how do you plan to incentivize them in turn. When you create your email templates, don’t forget to personalize them. After all, emails with personalized subject lines are 26% more likely to be opened, according to Campaign Monitor. Map the influencer activities you’re expecting, and create a calendar to manage the workflow accordingly. But don’t forget to map your content to your customer’s journey. In your calendar, mention the dates when you want your influencers to publish posts, start a conversation on Twitter around your offering, or conduct a webinar. This will help you stay focused on your campaign objectives. Now that you have finally launched your influencer marketing campaign, you’ll need to constantly track your marketing KPIs and influencer activities to understand how your campaign is performing. Make sure you measure your influencers’ activities against your business objectives and KPIs to understand the impact of influencer marketing on your brand. The easiest way to do this is to keep a track of the content your influencers are producing in an Excel sheet. Create an excel sheet document for each influencer or better yet, share a content tracker Excel sheet with separate, password-protected pages for each influencer on Google Drive. When creating a content tracker Excel sheet, don’t forget to add columns for every piece of information that you wish to track – content topics, delivery dates, contact information, number of leads generated by their content, number of leads converted to sales, impact on conversions and lastly, their compensation. If you’re looking to automate the process of tracking influencer activities, you can even use one of the many tools mentioned earlier. The Grin tool mentioned earlier is also excellent for keeping track of the individual activity of your influencers. 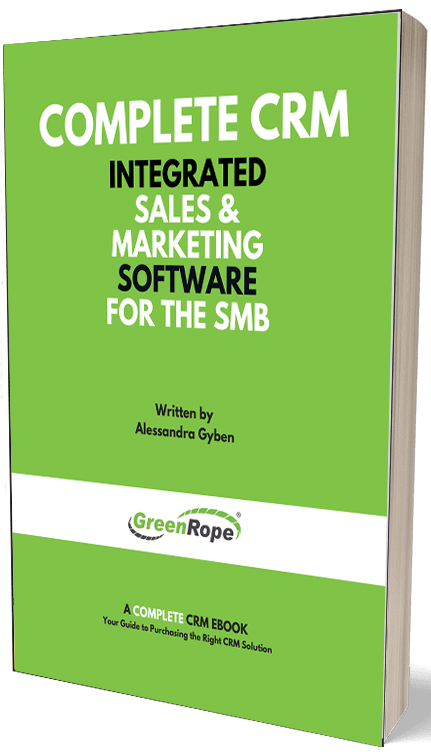 GreenRope's Marketing Software is one such tool that can help you monitor your influencers’ activities on social media. According to a survey conducted by CrowdTap, 54% of influencers are willing to partner with a brand more than once if the brand respects them just like they would other publishers. This means that you shouldn’t treat your influencers like they are your employees. Remember, the key to keeping your influencers motivated and engaged is by offering them enough respect for the work that they are doing for your brand. You must also understand that influencers know what their audience wants. So when approaching influencers, you must ensure that your campaign goals align with the interests of their audiences. 44% of influencers in the CrowdTap survey also prefer working with brands only if the opportunity is relevant to their audience. Here’s another thing that this study revealed – 68% influencers believe competitive compensation is a key factor when “working with a brand.” This brings us to the last and the final step. Association with influencers your brand a host of benefits. And they too expect some reward in return for their endorsements. But a large number of companies undermine the efforts of influencers and pay them peanuts or not pay them at all. As it turns out, the tables have turned now. The world seems to have awakened to the power of influencer marketing, and the new-age influencers understand that they have plenty of options available. This means that if they do not like your proposal, they are unlikely to collaborate with your brand. You need to carefully research each influencer, look at their reach, their popularity and the kind of reach they have when drafting your proposal. You can then determine a fair compensation based on these factors. Always offer fair compensation to your intended influencers. Better yet, ask them their expectations and let them know your budget too. Conversely, you may also choose to offer them gifts, rewards, or coupons for promoting your products or services. No matter what you offer, make sure the projected ROI of your influencer marketing campaign aligns with your business objectives and marketing goals. You’ve just learned five actionable ways to manage your influencers without having to burn the midnight oil. Now it’s time to implement them. How are you currently managing your influencers? Got any tips you’d like to share with your fellow readers? Let me know in the comments below.